Traditional Gold Celtic Cross set with four round brilliant diamonds. Handmade in Ireland. 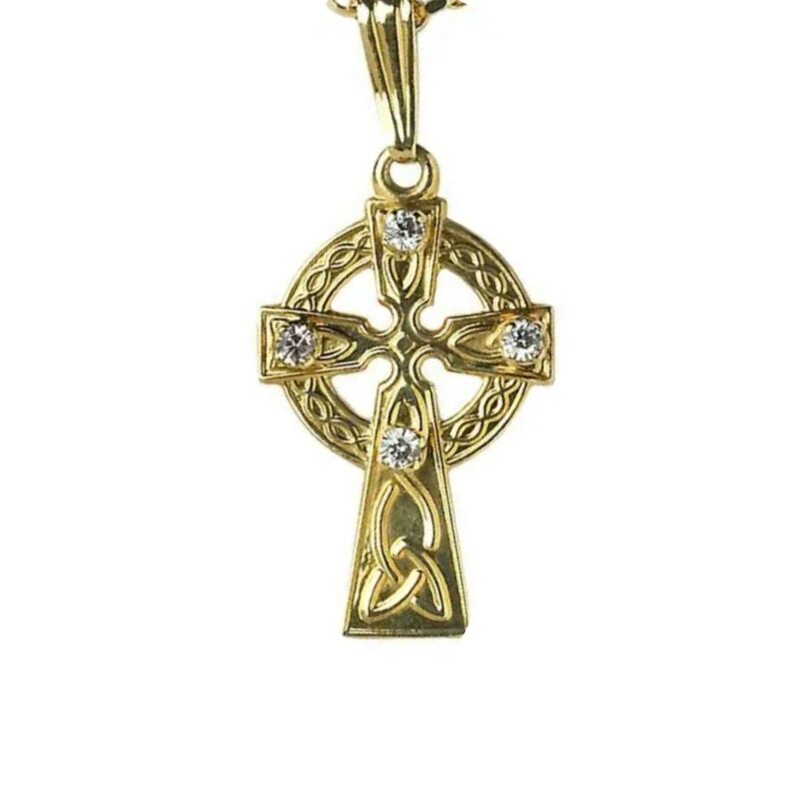 This Traditional Diamond -Set Celtic Cross measures 13mm wide and 19mm high (not including bale) and is available in 10k or 14k white or yellow gold and set with four H/Si diamonds. Fitted with and 18″ gold chain and presentation box. Handmade and hallmarked in Ireland.